When booking a beach vacation, most people want to go to the best beaches in the world. But, often these beaches are the same ones that every tourist goes to. I have a different criteria for the best beaches in the world. I look for beaches that aren’t too crowded, that are full of natural beauty, and ones that offer something a little different from the rest. There is in fact a reason why going to the ocean feels so good. If you do some research on facts about the ocean, you will see that the ocean affects your life every day. Here are my favorites that you won’t want to miss. 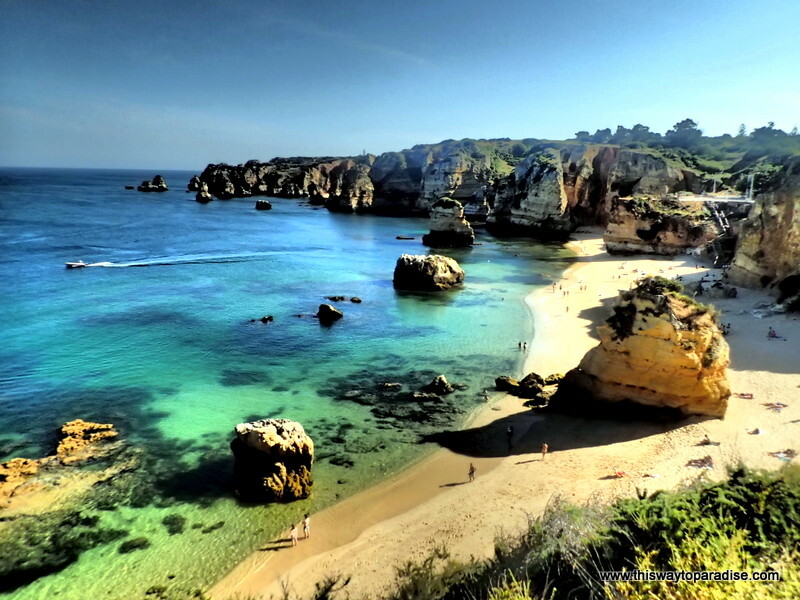 Dona Ana beach in the Algarve area of Portugal will take your breath away with its raw rugged beauty. Surrounded by towering cliffs, you can make your way to the beaches on either side by walking through caves in the cliffs. The water is clear, the views are stunning, vendors walk by selling drinks, and there is even a restaurant, so you can stay there all day. This beach gets my top vote for being a true “Paradise” beach. 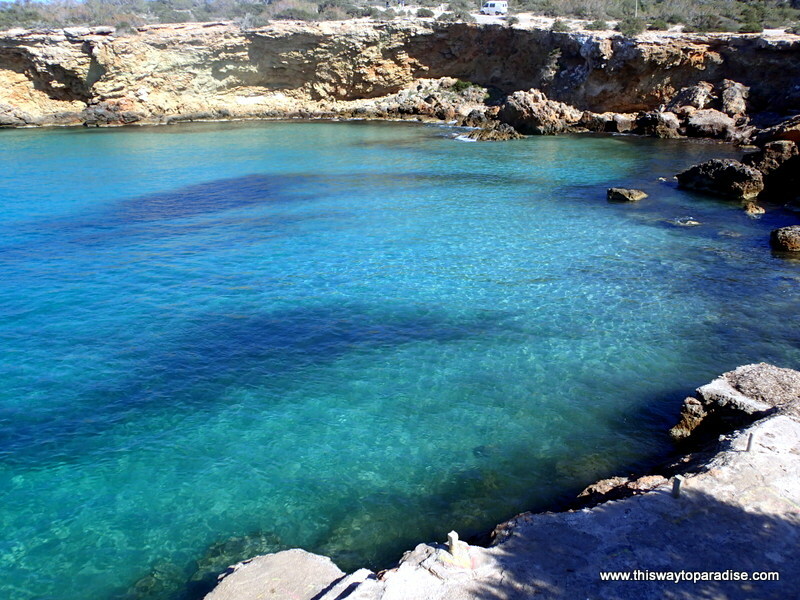 Really, just about all the beaches on the island of Ibiza get my vote for being some of the best beaches in the world. My favorite, though, is Cala Comte. There are two beach areas there, plus a cove for swimming, and if you walk a little past the beach, you will discover a magical cave. With aquamarine waters, beautiful views of islands just off the coast, and beautiful people, this beach is one to put on your list. Don’t miss Sunset Ashram, the restaurant. It has stunning views and great DJ’s that spin some of the best music in Ibiza. Zipolite Beach, on the Oaxacan coast, has a hippie vibe (that gets bonus points from me), and has waves that are big enough for surfing. I had no problems swimming, but there are strong currents just offshore, so pay attention while in the water. You can watch the sun come up over the blue-green waters each morning, and the naranja sunsets each evening from the same beach. My experience was made even more incredible by my stay at El Alquimista. I stayed in a cottage right on the beach, and fell asleep each night to the crashing waves. 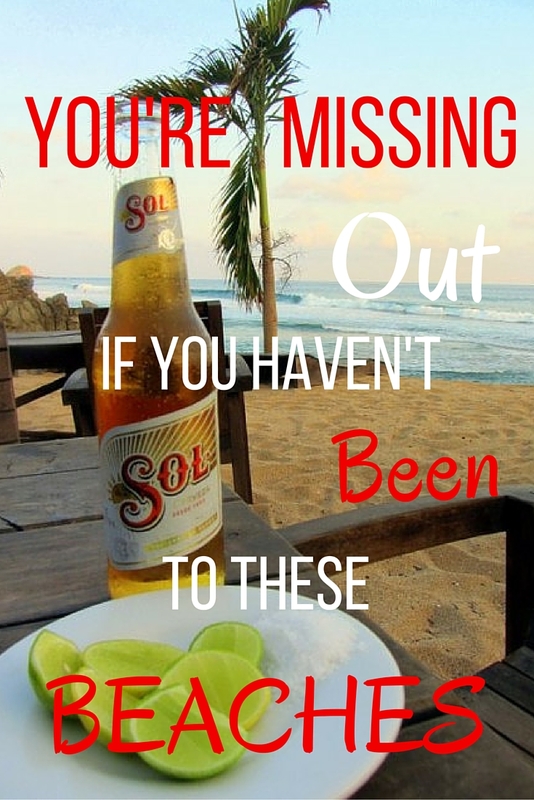 Their restaurant is also the best in Zipolite. The yoga classes are great, and they also have their own swimming pool. I also loved the International visitors here, and I made friends from Argentina and Brazil. Thailand has plenty of gorgeous beaches, but my favorite is Sunrise Beach on the island of Koh Lipe. Turquoise water, cheap massages right on the beach, a relaxing vibe, and beautiful snorkeling right off the beach all make this beach one of the best beaches in the world. Again, my stay was made even more incredible by my stay at Castaway Resort. Splurge on a beachfront cabana. After all, you only live once. 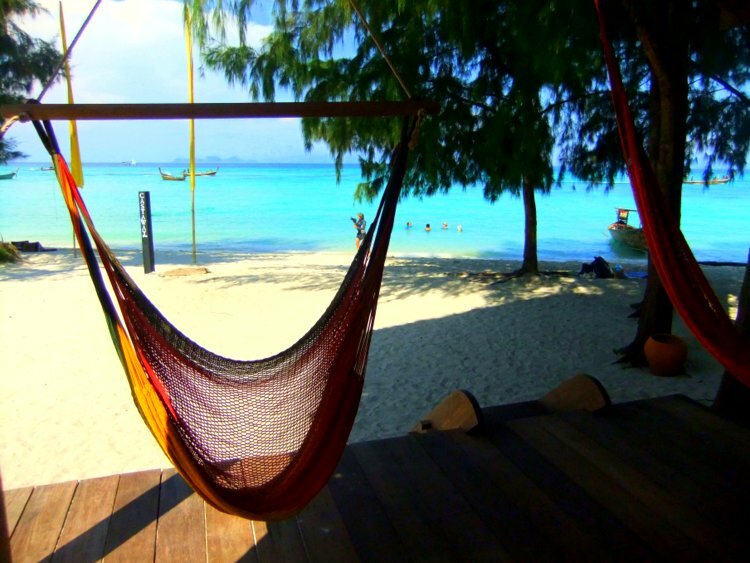 Hammocks on the porch overlook the stunning beach and the long tail boats, and you don’t have to move all day. I am not sure that any of the beaches on Gili Air have names. The island is small, and you can easily walk around the whole island in about two hours. Watch out for the meandering cows! I didn’t find one beach on the island that wasn’t stunningly beautiful, and I loved all the chillout places to rest in the shade right in front of the beaches. 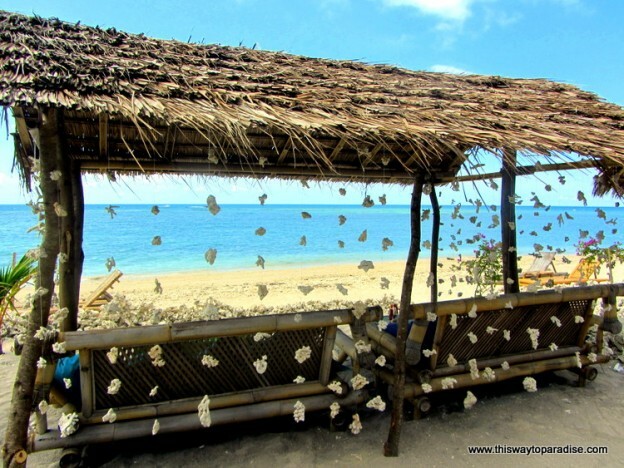 Gili Air is a great base for diving, and you can easily go snorkeling off of the east coast. The tiki bars which play chill-out and Goa style music are great spots to let the world fade away. Ha, I don’t think I’ve been to any of these beaches! Lol! They are all my favorites! Oh man. Yes! You’re missing a couple in this list. There are so many great ones in Fiji (and the most incredible diving), and closer to home: Okanagan beaches in Beautiful British Columbia (Skaha beach is one of my faves). But this wishlist is fantastic! I only got to explore Fiji for two days during a layover. I so want to go back!! My favorite beaches are on Antigua! WOW, Great article, I have not been to all of the beaches mentioned unfortunately but I have been to Zipolite and it is pretty much what most people travel around the world to experience but is only a 4 to 5 hours flight for most North Americans. Amazing vibe, a complete feeling of freedom. For the best of both worlds being authentic Mexico meets hippie chic, meets modern luxury stay at Viewpoint at Puerto Angle. 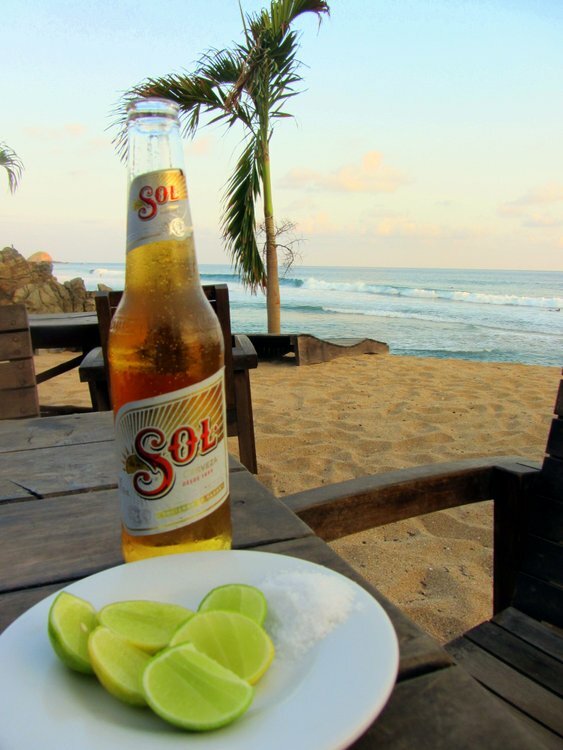 We love Zipolite. It is hard to describe but there is noting like it if you are looking for an off the beaten path experience. Give me a ticket to go there! Ya.. Gili Air is the one of the best.. and one more the new Gili there name is Gili Nanggu is the best beaches for snorkeling only 5 meter from beach line you can find Awesome coral and fishes. ← Going To Lake Atitlan Guatemala? You Need This Guide!